Happy New Year from Theory Communications! Check out our list of business tips collected from our team as well as inspired by top experts worldwide. Take your brand to the next level in 2016! Establish the product/service your brand offers and the targeted market it will occupy. Study the needs and concerns of your customer base within that market and how your brand will be set a part from other like-minded brands. A successful business can needs a team of driven, hard working individuals who have your brands best interest at all times. It is best to delegate tasks to various individuals to be able to see your brand grow. Those who wear all hats tend to stretch themselves too thin, not allowing any task to receive a true 100% effort. We are currently living in a digital era, whereas most media professionals are more active via social media than email/phone. This doesn’t mean quit the proven effective methods, it just advises to take time to learn creative ways to implicate the new methods while staying true to your brand. In 2016 it is time to lose the ‘generic pitch.’ Media wants to see editorial focused pitches, showing you have studied their brand and what they write about to know how to pitch your story in a specific and more personable way. 5. Under-Promise & Over-Deliver… ALWAYS! Often new brands tend to bite off more than they can chew, and allow their words to effect their customer perception. Most people love to be surprised with great services/products rather than sold on a great service/product and receive less than expected. Let your brand speak for itself, and keep your messaging true to what you are always CERTAIN your brand can deliver. Are you a brand seeking assistance in development, media relations, event curation, marketing and more? 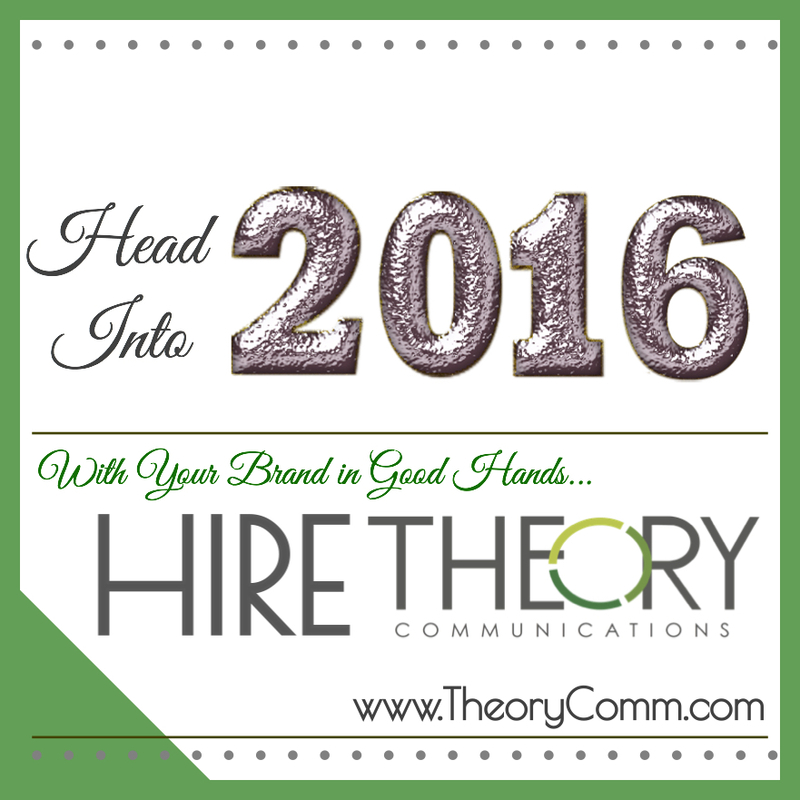 Consider hiring Theory Communications!